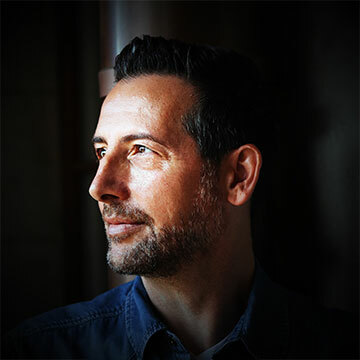 Originally from Italy, Tony's legendary flair behind the decks has landed him residencies and top gigs in some of the world's greatest clubs from London to Paris, Ibiza, Moscow and to his current home base: Cape Town. 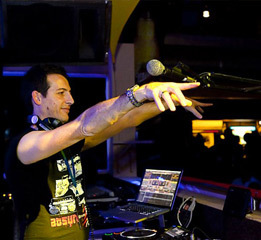 Tony is undoubtedly one of the top hottest Dj & producers of the moment signed to Worldwide Super Club Label Pacha Recordings & Adult Entertainment alongside his label Touch it Records. Tony is definitely ready to take 2011 by storm! 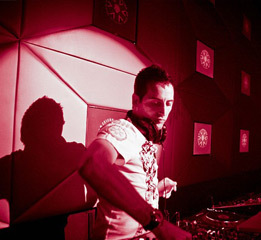 In 2009 his remix of “Cruising though” for the Goldfish Album “Perceptions of Pacha” was chosen by Pacha Recordings, immediately followed by a second remix for their other single “Just for tonight”. 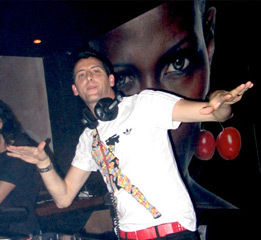 In 2010 his first hit single, “Calling Ibiza” was released on Pacha, and featured on the Pacha Ibiza – The Italian Collection 2010. Tony has gone on to sign the Pacha “triple 5 deal” (5 Singles + 5 remixes), and kicking off the deal with the Tony Finger not so acid remix of Paul Hardcastle’s classic 80’s hit, “19”, featured on the Cream, Gatecrasher & Pacha Superclub cd compilation. 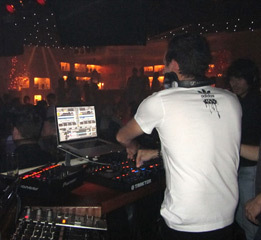 SUPERCLUB was released in November 2010, estimated to sell around 100 000 copies (The “19” remix also features on Pacha Hits 2011 CD). 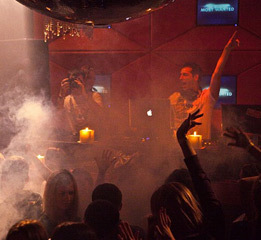 Since then, Tony has released a string of dancefloor hits reaching the top 10 charts on Djdownload & Beatport, with Tony's latest track "La Vita" recently listed in the Paul Oakenfold Top 10 Chart in 2010. 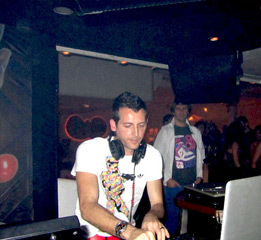 With this ever expanding weapons of remixes and own productions like his latest released tracks "Pacha Splendente", "We got Music" & "No Cheese for the Mouse" (Part of N.1 Selling CD: Pacha Ibiza Summer 2011, Pacha Ibiza Club, crucial & Crossover, Pacha Vip Vol.5, Pacha Ibiza Miami 2011, Pacha Ibiza The Italian Collection 2011, Pacha IBIZA BE CD) and another mighty remix for Goldfish new single "We Come Together", Tony is ravaging the dancefloors & getting support worldwide from djs like Paul Van Dyk, , Markus Schulz, The Scrumfog, D.O.N.S, Sander Kleinenberg, Above & Beyond, Laurent Schark , Pete Tong & many more! 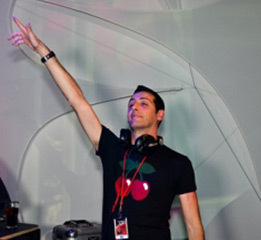 Tony's latest "Cherry on top" is Pacha's request for him to compile & mix the "Pacha Summer 2011" CD (Germany/Ministry of sound), storming the official German album sales charts. Another great CD Compilation (remixed & mixed by Tony alongside Richard Grey) will be out in August. He's had residencies and top gigs in Ibiza (Pacha, Guarana etc. 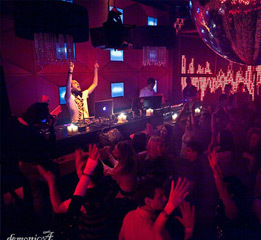 ), London (Ministry of Sound), Paris (Paris Fashion Week, Bains Douche, Buddha Bar, VIP Room), Moscow & Russia (Hospital CLUB, Buddha Bar), Lisbon (FL cafe, SAL Lounge Bar) & Cape Town (Trinity, Daddy Cool ,Vista Bar @ One & Only, Opium, BBC, FTV) alongside international house legends Paul Oakenfold, Bob Sinclar, Daft Punk, David Guetta, Superfunk, Ron Carroll, Junior Sanchez, Boy George, Deep Dish, Stephane Pompougnac, Jerome Isma-Ae (MOS World Tour 2011), Goldfish & many more. 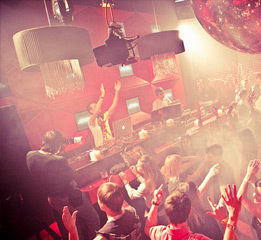 From lounge & Chill out sessions (sipping cocktails while watching the Ibiza sunset) to the main room house, prog & electro sound of Pacha, Tony knows how to showcase his talent to the world! You can regularly listen to Tony Finger mixes & latest music productions on Good Hope FM, 5fm, Radio SA (UK) and on his own weekly radioshow ROCK DA HOUSE on Ideal World Radio, Mutha FM & Dance Web Radio stations online. All materials ©2015 Tony Finger. Unauthorized use is prohibited.